So every time I visit a coast, any coast really, but especially a warm weather coast, I find myself looking at local real estate and day dreaming of a life in paradise. 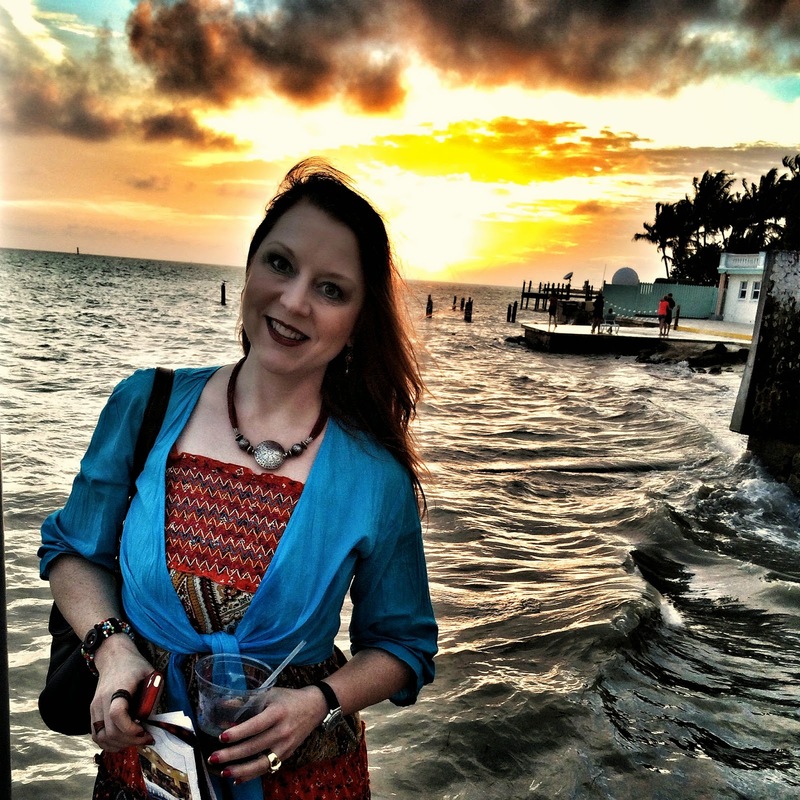 And this despite my red headed, fair skinned tendency to turn pink in the sun despite spf 70 and floppy hats. But, I have to admit I would miss the change of seasons. A life without significant seasonal climate differences would dramatically limit my opportunity to wear boots. And I really love boots - short boots, tall boots, riding boots, cowboy boots, even rain boots. Somehow, boots at the beach just don't seem to make a lot of sense. 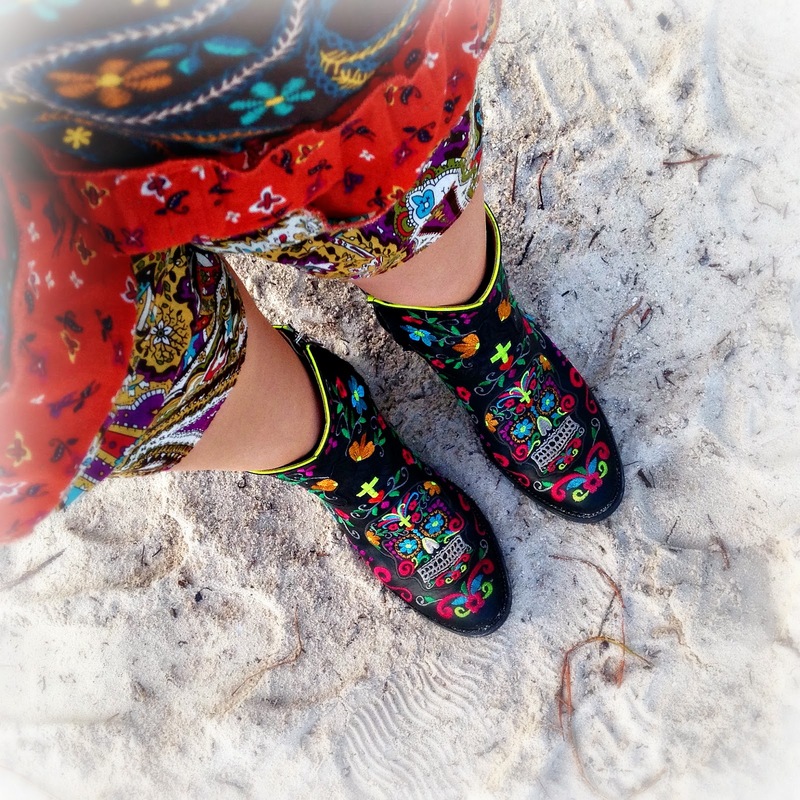 Of course, that didn't stop me from wearing my newest (and current favorite) pair of boots for a sunset stroll on the beach in Key West this week. The beaded, etched silver necklace is a treasure from a visit to an art fair during another island excursion (to Galveston Island, Texas) several years ago. 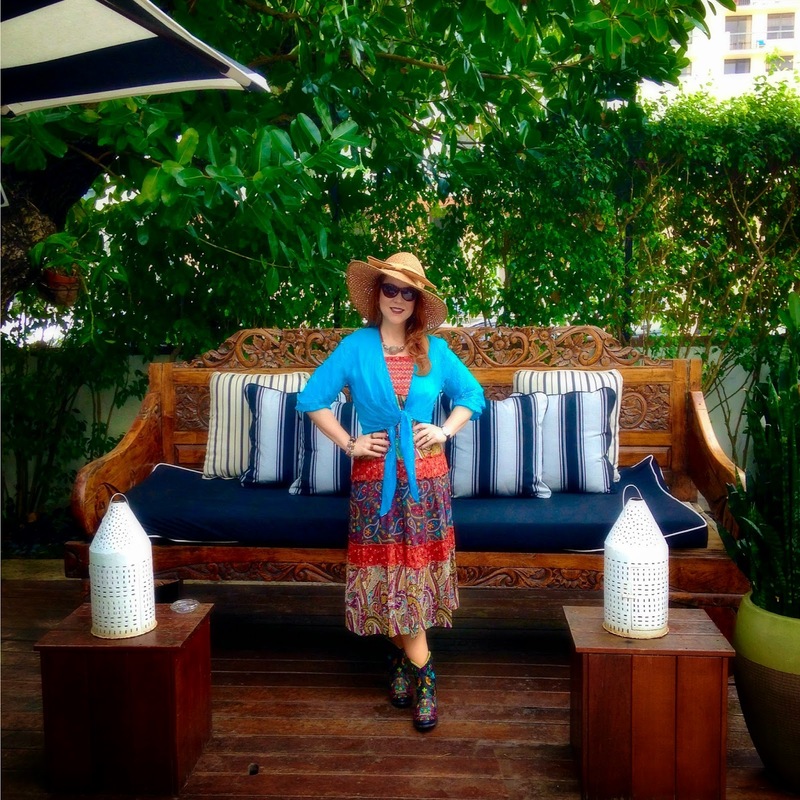 I adore your fun and colorful ensemble, topped off with the perfect hat. Thank you for sharing your beauty with Hat Attack!